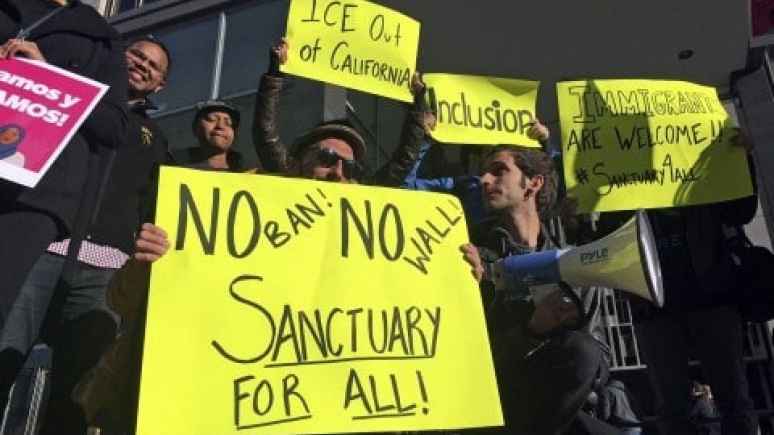 SANCTUARY CITIES AND JUDICIAL MADNESS: Judge blocks Trump’s effort to end sanctuary cities — the day after a border patrol agent is bludgeoned to death. Judge blocks Trump’s effort to end sanctuary cities — the day after a border patrol agent is bludgeoned to death. My article for FrontPage Magazine today is predicated on two events- first the horrific attack on two Border Patrol agents along the border that is supposed to separate the United States from Mexico. That attack left one of those agents dead and his partner grievously injured. The second event came just one day after the violent attack on those Border Patrol agents when a federal judge permanently blocked the Trump administration from withholding certain funds from cities that have declared that they would not assist the Department of Homeland Security in enforcing our immigration laws. Cities and states that refuse to cooperate with immigration law enforcement have been identified as “Sanctuary Cities” and “Sanctuary States.” In reality they should really be referred to as “Magnet Cities” and “Magnet States” that attract foreign criminals, gang members, drug traffickers and terrorists. Alternatively, those jurisdictions could be accurately referred to anarchies. Furthermore, lawful immigrants and nonimmigrants who abide by the terms of their admission into the United States need no “protection” from immigration law enforcement personnel. That false and dangerous narrative needs to be repudiated at every opportunity. Author MichaelPosted on November 24, 2017 November 24, 2017 Leave a comment on SANCTUARY CITIES AND JUDICIAL MADNESS: Judge blocks Trump’s effort to end sanctuary cities — the day after a border patrol agent is bludgeoned to death.